The panther spirit animal is powerful and protective. The panther symbolizes courage, valor and power. If the panther is your power animal, you are blessed with a fierce guardian. The panther is the symbol of the mother, the dark moon and the power of the night. This totem animal encourages us to understand the power within the shadows and to acknowledge these powers to help eliminate our fear of the dark and unknown. 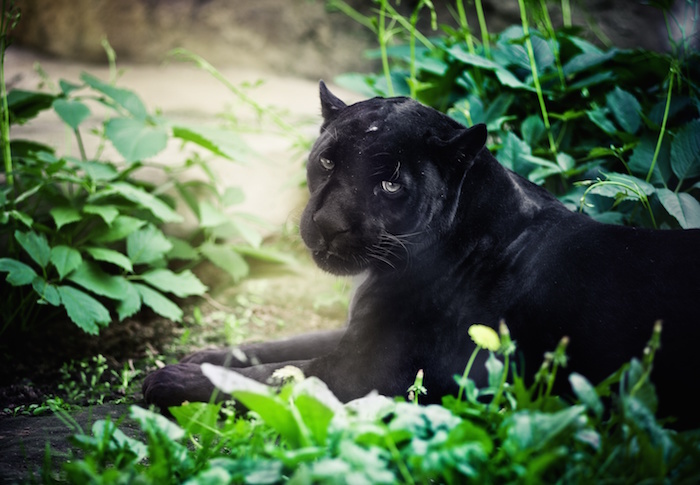 What is the meaning of the panther spirit animal? Individuals who have this animal totem, are highly intuitive and artistically inclined. 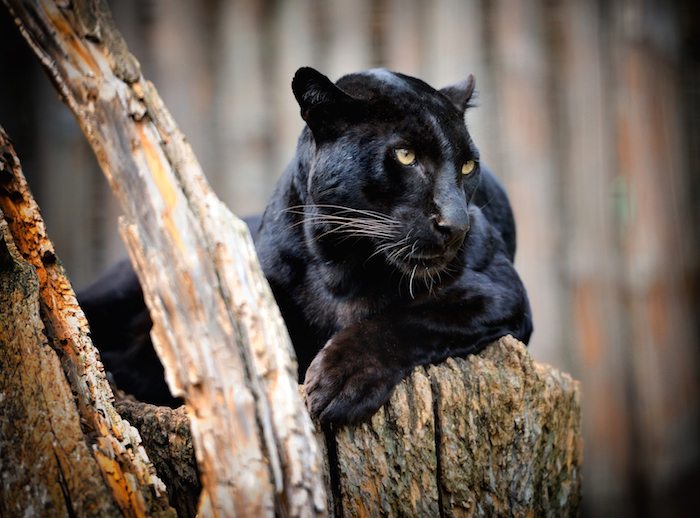 If panther has appeared in your life, it is time to release your passions, live your dreams, discover your desires and begin a new chapter in your life. This spirit animal welcomes you to expand your awareness, eliminate fears and become a whole new person as you are guided and protected. As an ancient and powerful spirit guide, the panther signifies darkness, death and rebirth. This totem is the symbol of power, beauty and grace. If the panther has showed up, it invites you to befriend the night and work through your fears. Remember that from death, we are reborn. Panthers are comfortable keeping to themselves and find themselves connecting with other solitary individuals. Panther listens closely, but only shares just enough information to keep curious minds content. Women who have this power animal often find that they raise their children alone either because of divorce or another circumstance. Often panther will enter you life to help you awaken your inner passions, unbridle expressions and tap into suppressed talents. It is a signal to reclaim your power often after a period of pain, suffering and death on some level. This could mean that an old issue may finally be resolving, old wounds may begin to heal. Once this healing takes place, reclaiming your power is possible. Panther medicine gives a broader vision and deeper vision spiritually beyond the physical realm. This enhanced perspective allows individuals to see things from a distance or through close examination. Clairaudience, the ability to hear communications from other forms of life and dimensions may develop. If panther is showing up then you should trust your thoughts, inner voice and the messages that are showing up in your life. Panther will assist you on your path sometimes in the form as a mentor or teacher. Panther medicine holds the secrets of worlds that are unseen and linked with lunar energy. The darkness of night holds the truth of creation. Just as the feminine, the panther has acute sensitivity. The hairs on their body allows them to pick up subtitle vibrations. This is important as it indicates the need to pay attention to feelings and the messages that arise from these feelings. Touch is significant to your path to help awaken your concealed gifts. The panther’s smooth and sensual coat is connected with sexuality. It may be time for your to resolve old sexual issues and embrace your sexuality fully. It is time to pay attention to the strength of your inner being, internal fortitude, spiritual strength and valor. Consider your darker side, analyze and determine your motivations. What does my Shadow Self want me to know? Are my current passions helping or hindering me? Am I on the right spiritual path for myself? Do I have latent desires I am suppressing? Is placing other’s needs before my own to the point of where I am neglecting my own needs? Am I mindful of my emotional and physical movements? Am I defensive? Who, what and why am I being protective? While some interpretations of the panther interpret it as a symbol of an enemy, the panther is also a symbol of the protector. Panther can be a powerful ally that can protect you in the dream realms. Panther embodies not only power, strength and courage, but grace and beauty as well. The panther may be reminding you to find and check in with these qualities yourself. If you are a woman, panther may be reminding you that you do indeed posses the characteristics as panther herself is often a symbol of the feminine. Can you embody beauty and grace at the same time as strength, power and courage? Is The Panther Your Spirit Animal? Post your ideas and comments about the panther by using the comments below. Panther was pacing back and fourth across the entrance of my room. I was dreaming but it felt real. I wasnt afraid but I sense it was protecting me. I could sense dark energy that wanted me but the Panther kept it at bay. As it paced, it let me know telepathically that my unbelief is what the energy was after. I woke right up. In a dream I saw gold eyes walking toward me, then they materialized into black panther coming closer. I attempted to look away often yet compelled to look into it’s eyes. I gingerly raised my hand wrapped in a cloth for protection to it’s face, playfully it rubbed my hand with jaw never taking eyes off me and I felt no fear only awe. As rotating it’s head and neck began massaging my hand between it’s powerful jaws with what I surmised as caring compassion. Then turning walking away from me, tail high in air and looking only once back, then it vanished. In my dream, I found a black panther in a field and again I could feel it’s power; it’s ability to kill. But we would just play and would occasionally nip my arm but wasn’t painful. So I brought her home. And there were lots of people at home and they were fighting. No one would listen to me to relax and let me handle the panther. I then felt out of control and animal control was called on the panther. I had a dream with two panthers who were in my room with the other anomals. It started meowing for food. Tgey were beautiful. One of my dogs layed beside one of the panthers. It was an amaxing feeling becsuse I did not feel scared. I had a dream last night ther was a pitch black panther in a room with me I had a feeling of it’s power in the sense that it could easily kill me, but knew it didn’t want to hurt me. Ther was a dog also ther, kinda happy barking type that nips stranger’s. The Panther ate it and someone else seen this and was in a panic and scared. I was telling them to let the panther be as it would only harm if harmed.